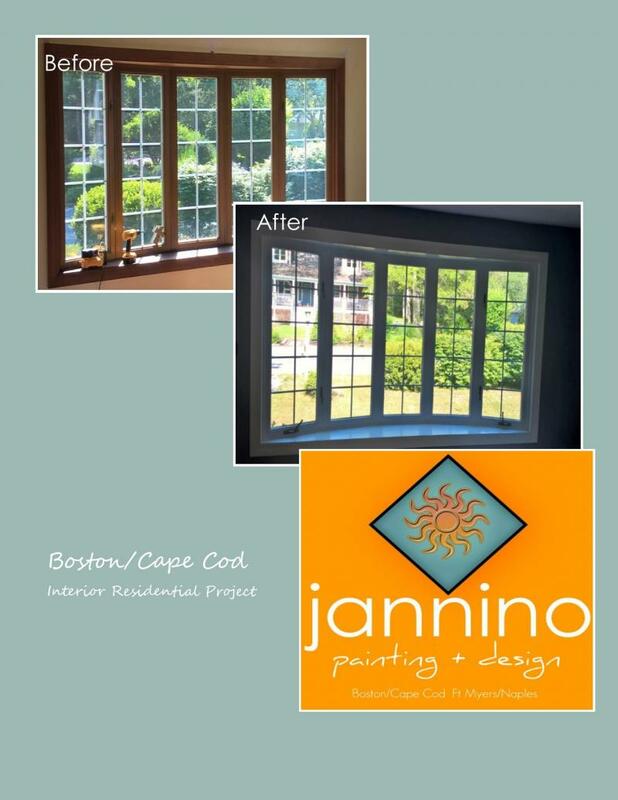 the install from the glass installation contractor, then prepping areas again and painting. 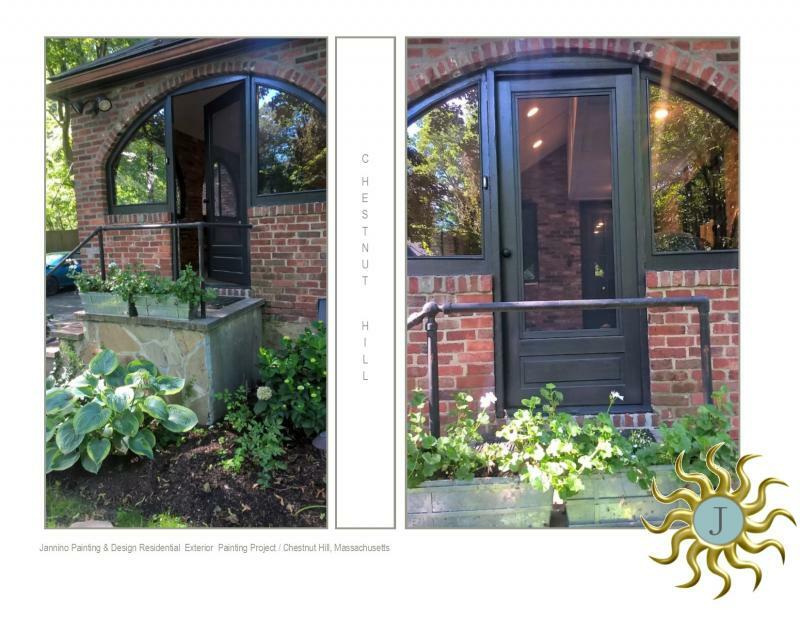 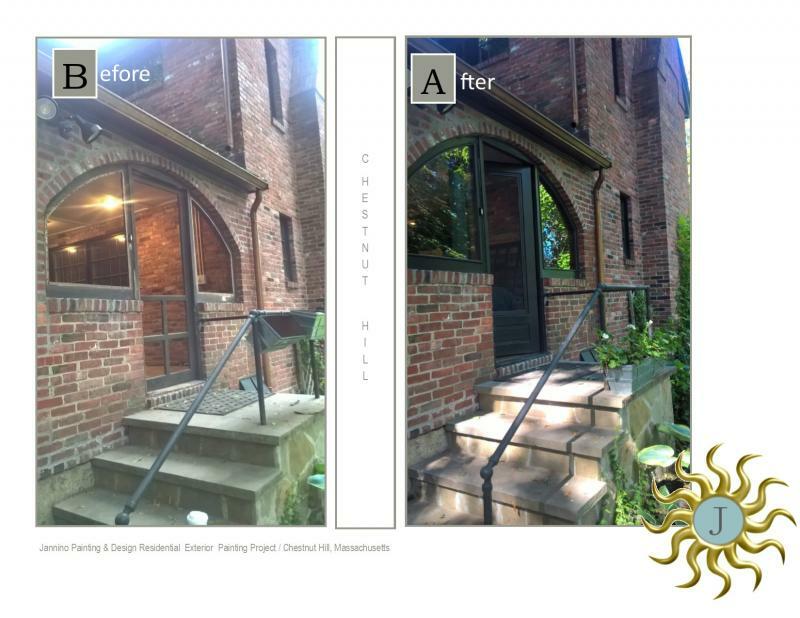 This project also involved the prepping and painting of a new wooden combination screen/storm door. 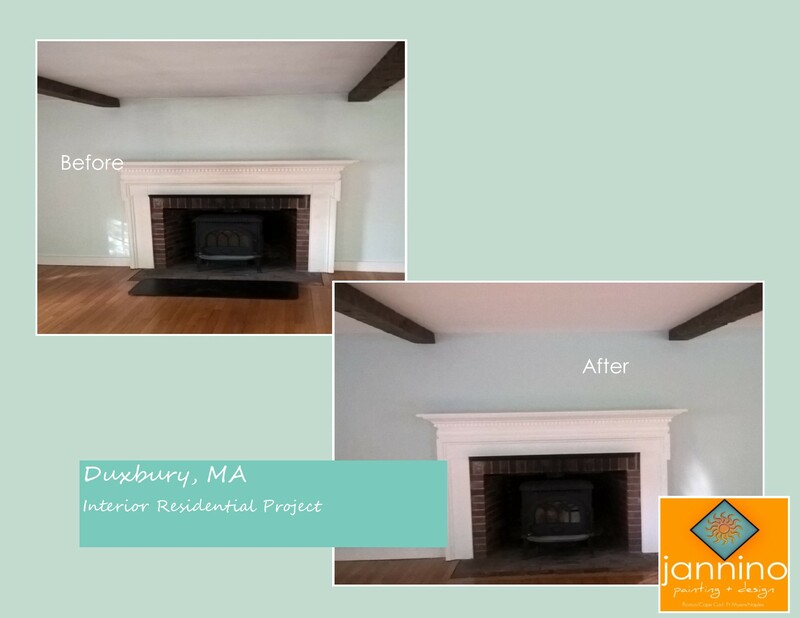 This portion of a project in the Crowe Point section of Hingham, MA demanded a lot of prepwork to the basement walkout family room. 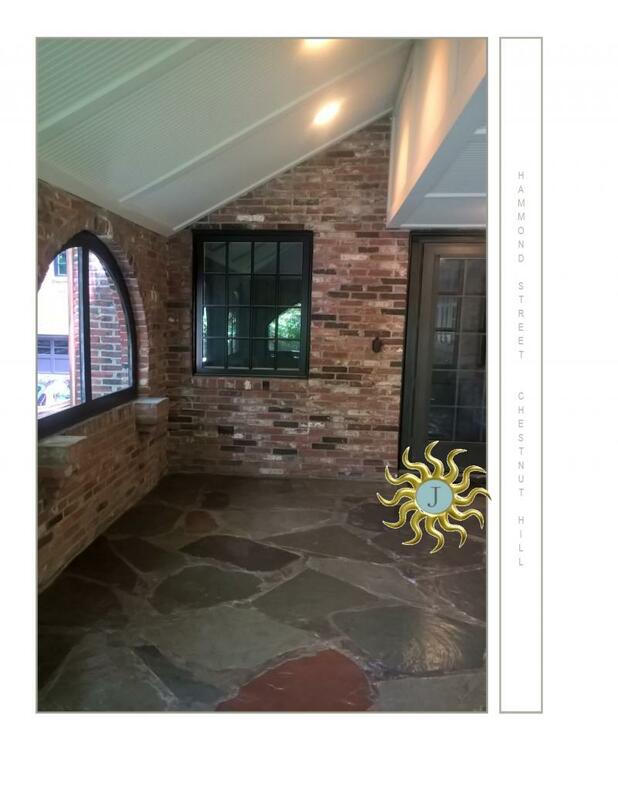 basement area which was roughly 1200 sqft and included a large built-in and lots of windows! 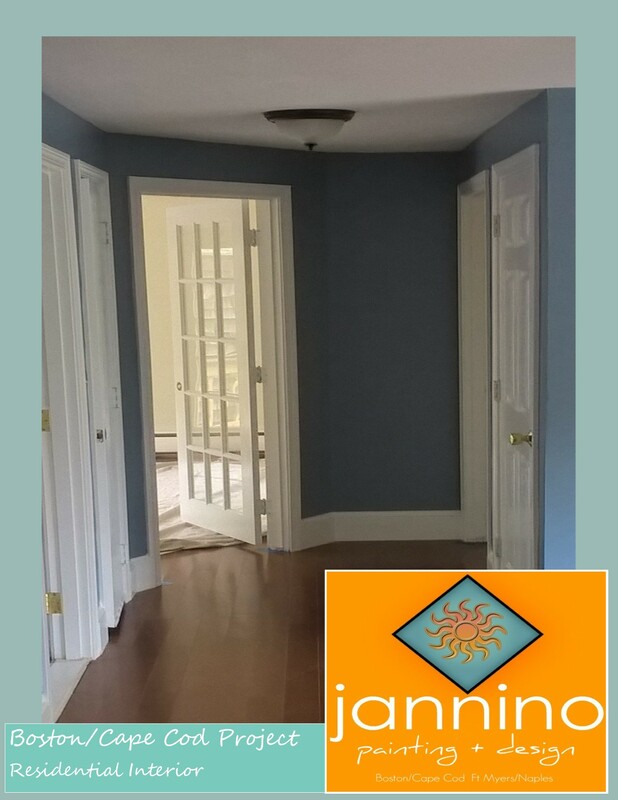 This area served as both an office and media room. 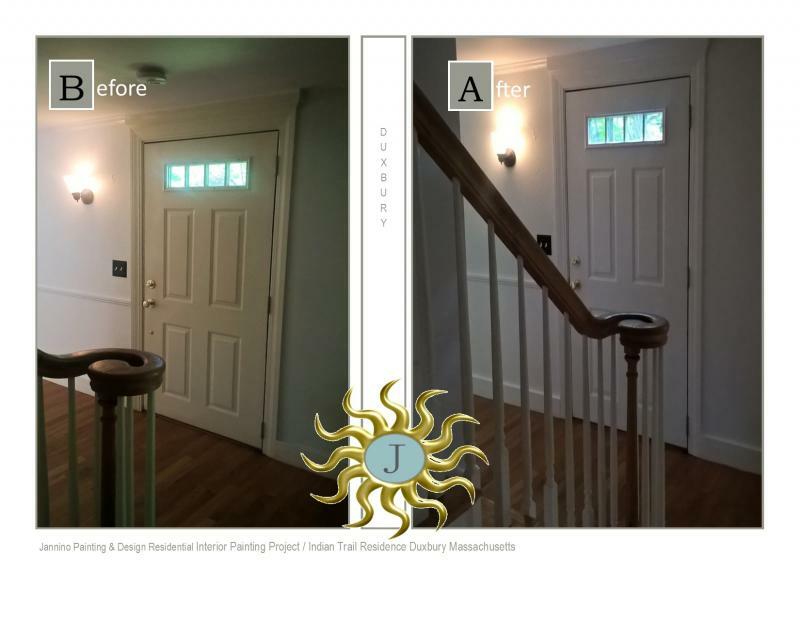 makes the room appear brighter, lighter, and more polished! 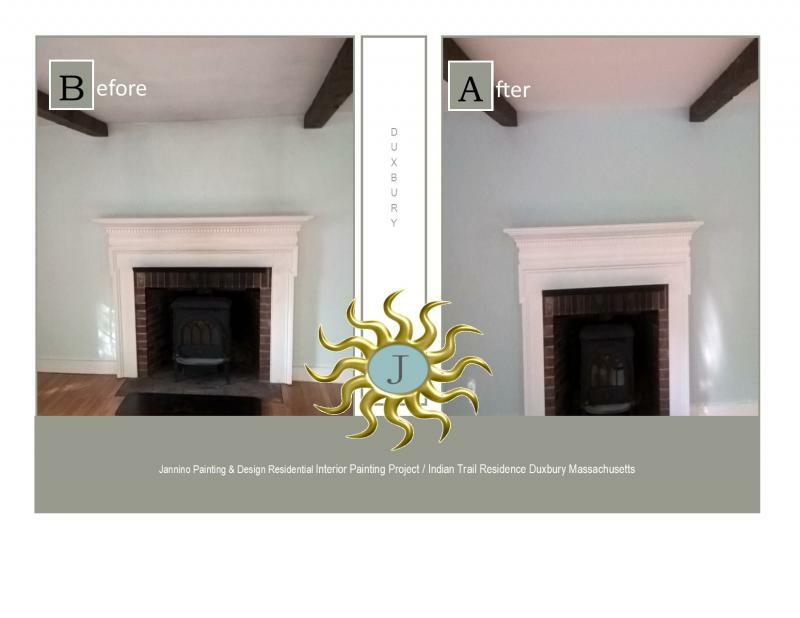 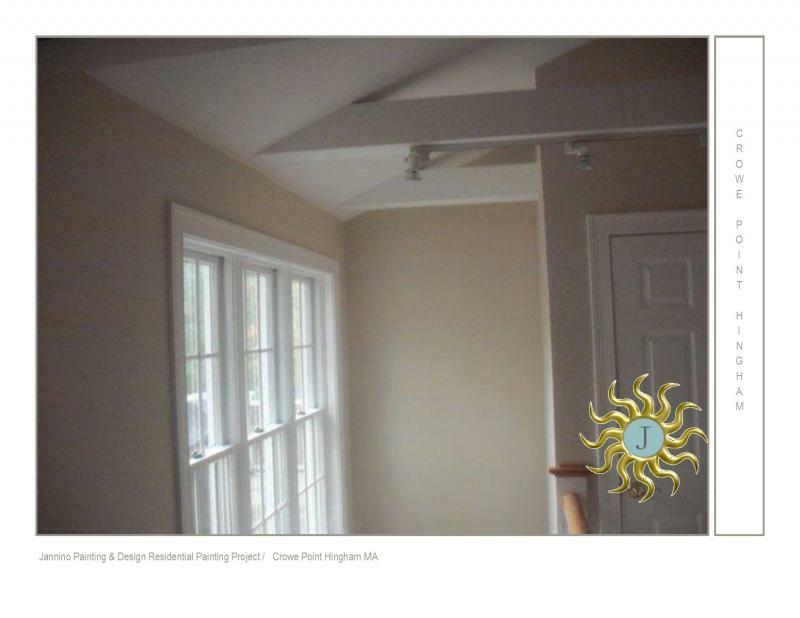 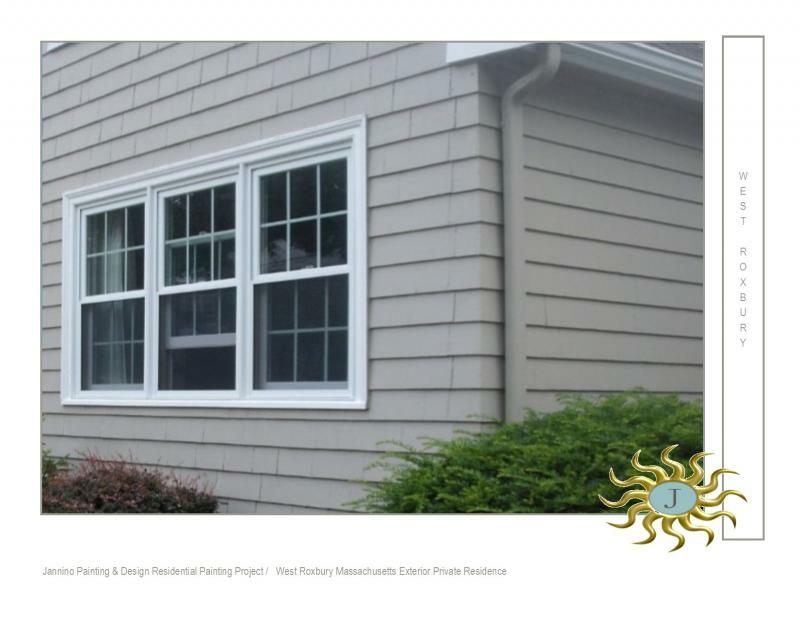 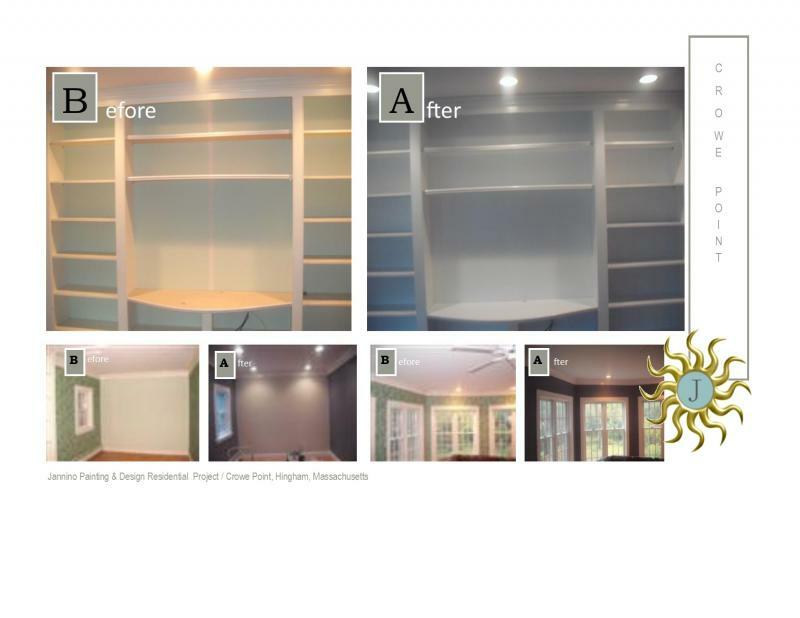 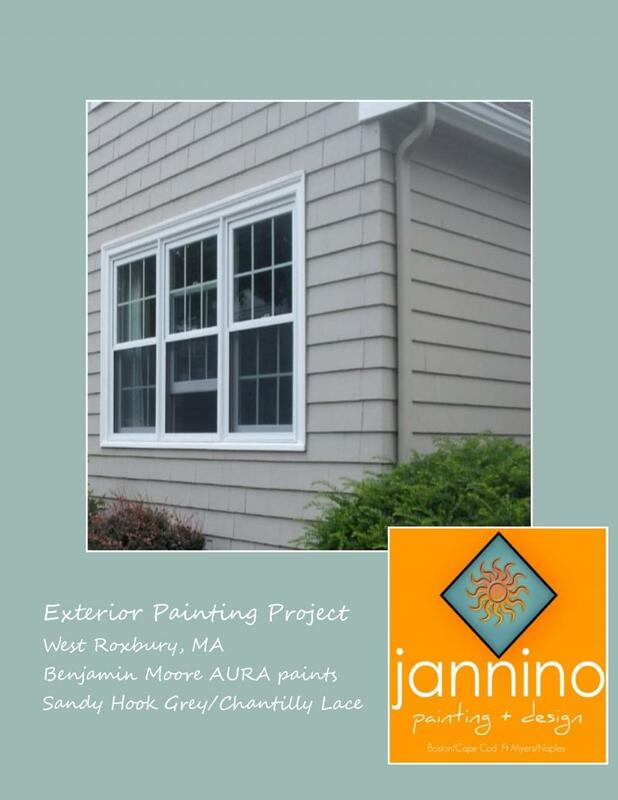 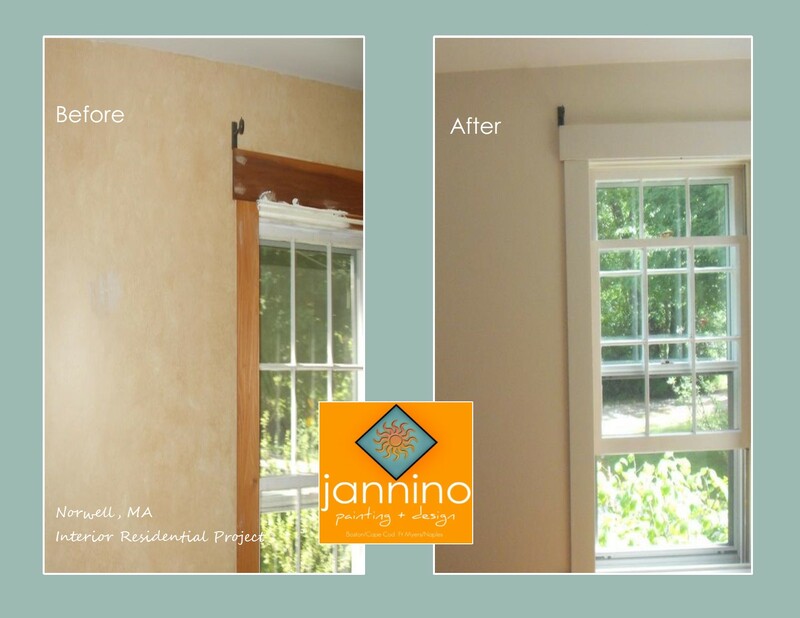 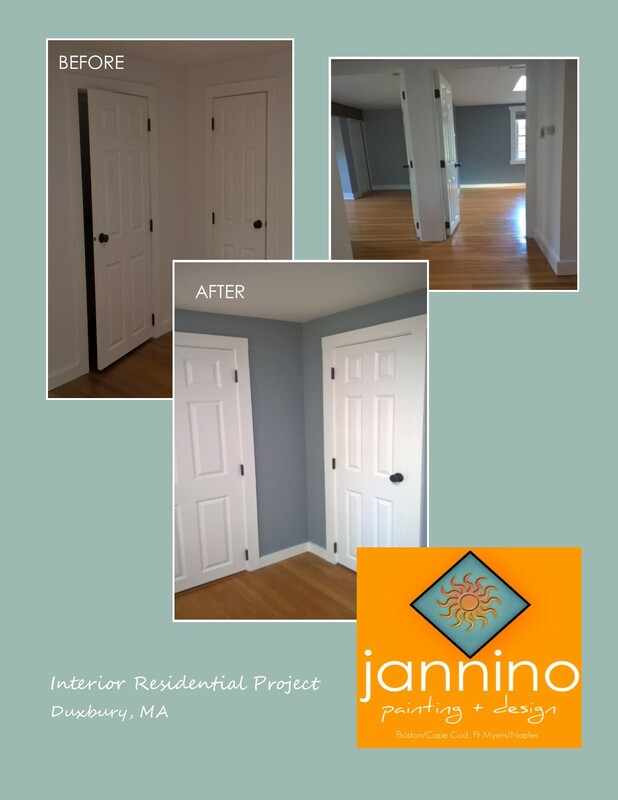 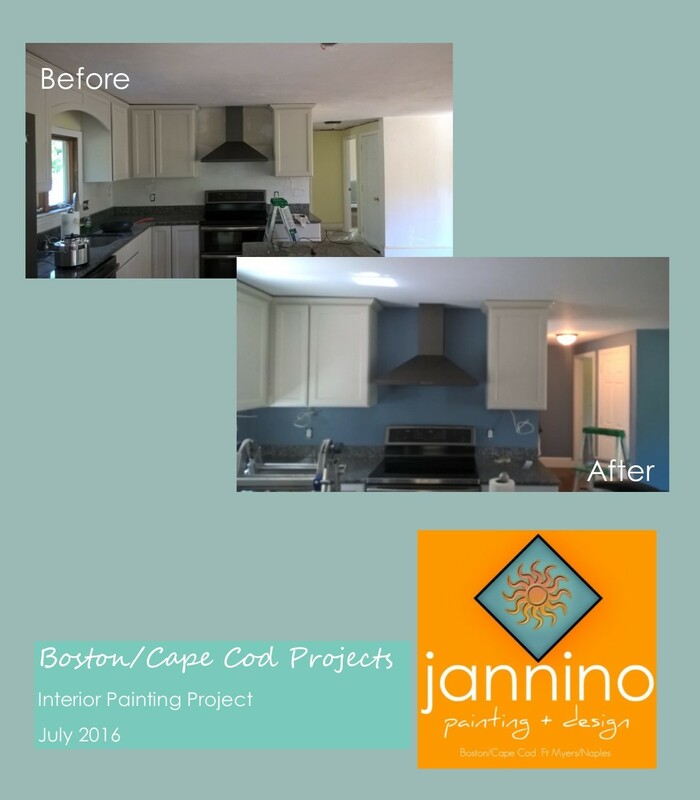 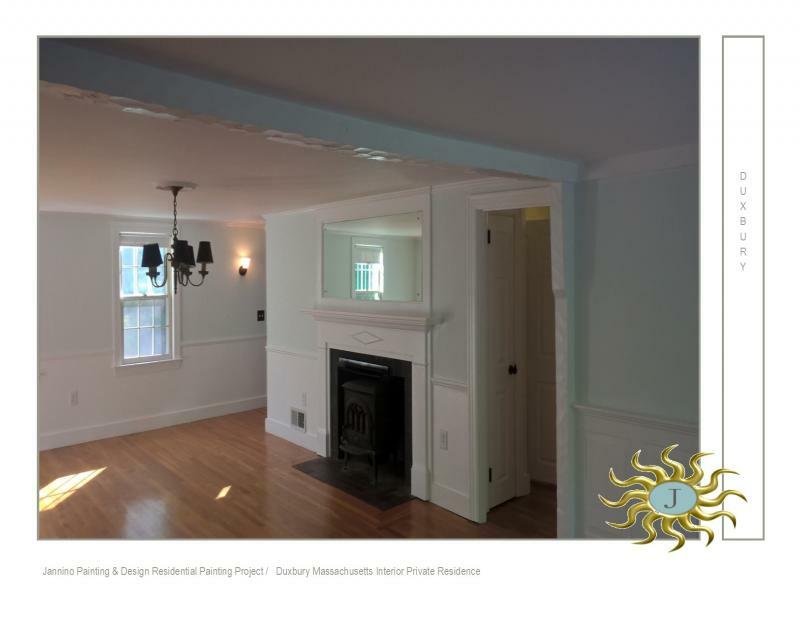 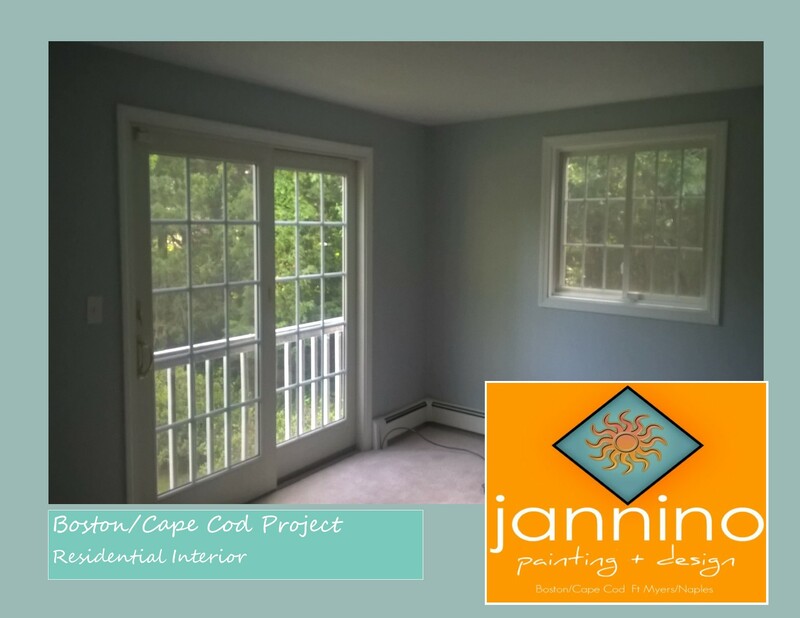 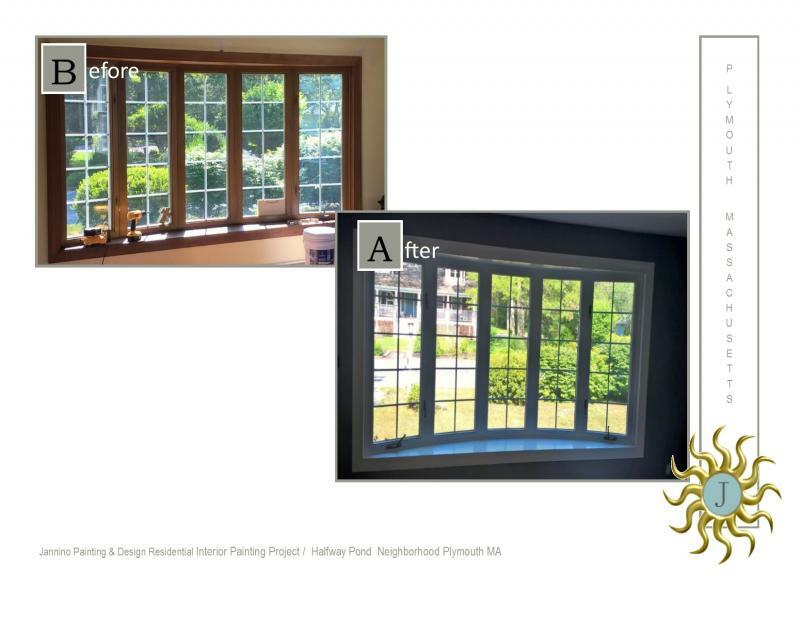 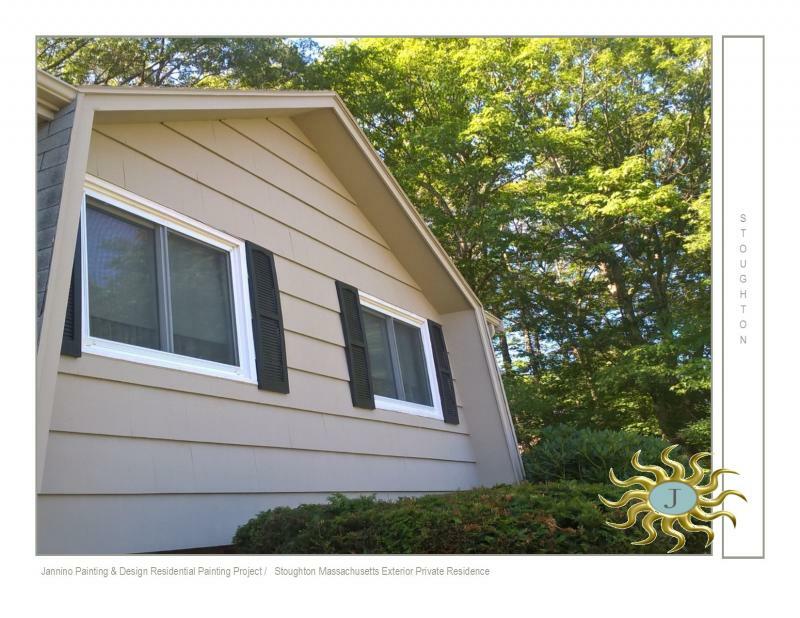 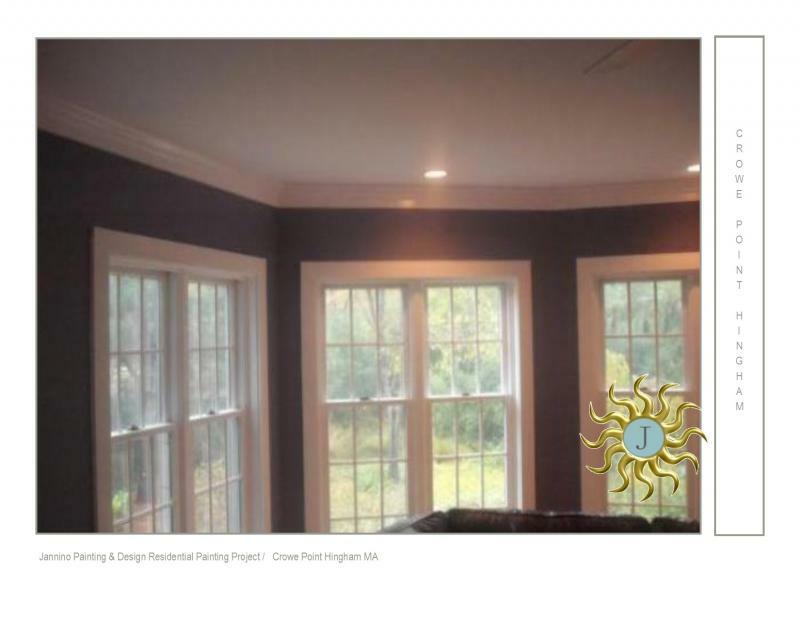 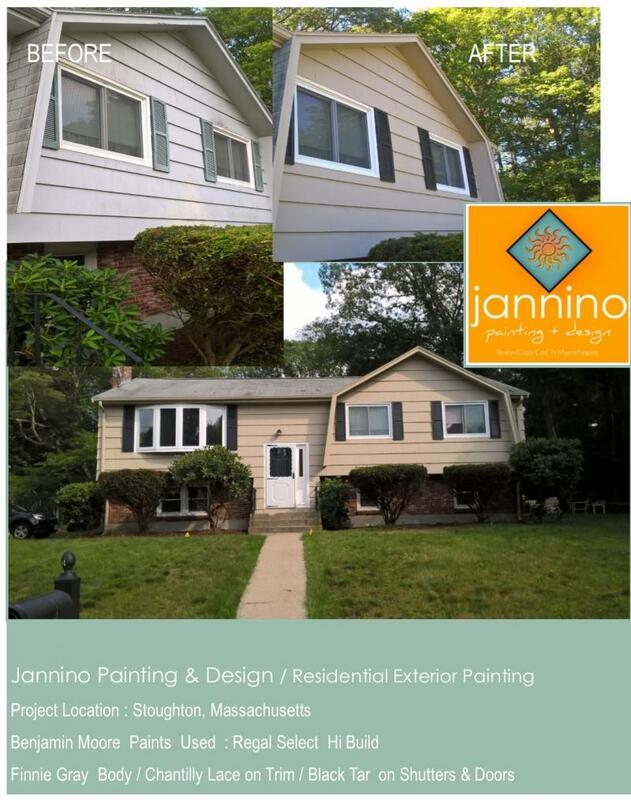 This project on Justine Rd in the Halfway Pond area of Plymouth entailed a complete interior paint job. 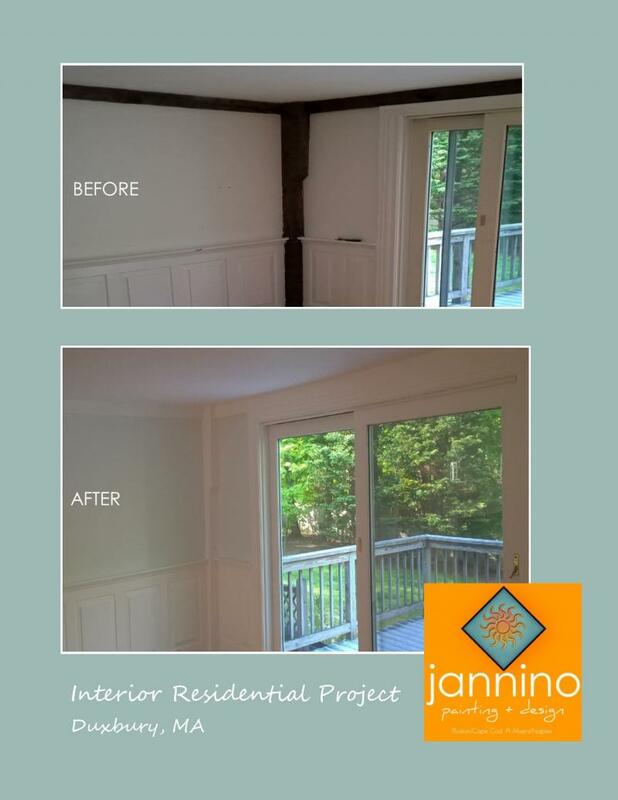 Significant changes came from repairing and painting the dated and damaged woodwork to a bright clean white! 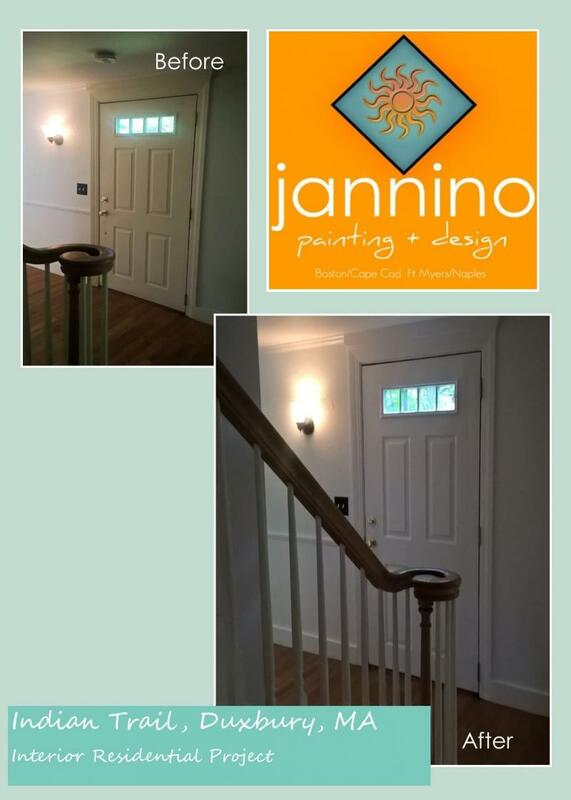 The newly painted woodwork looked even more dramatic due to the choice of a much darker blue/grey wall! 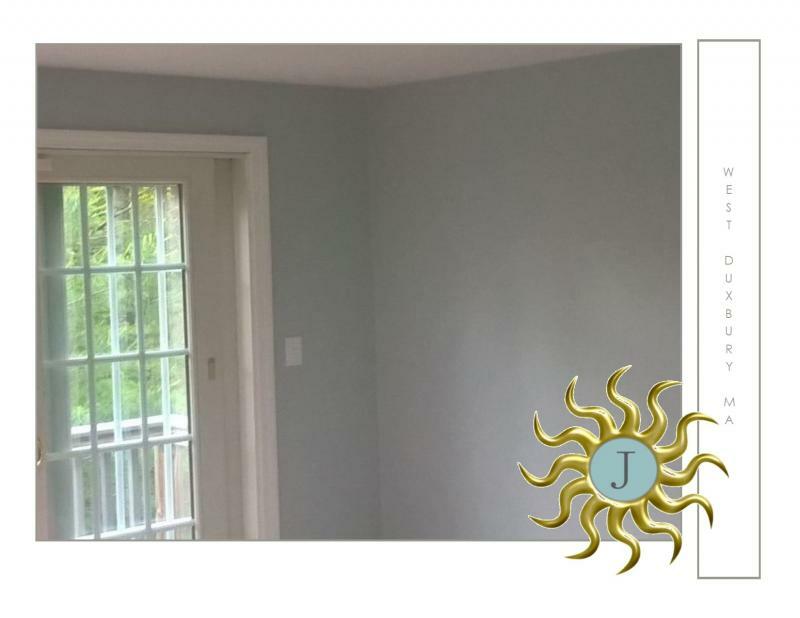 Benjamin Moore's Jamestown Blue but due to the lighting that showed up in the room as almost too childish a hue.